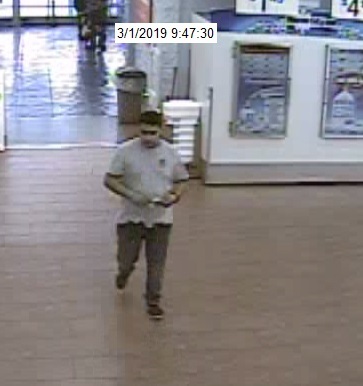 The Jasper Police Department is requesting the public’s assistance as they look to identify a male subject involved in a recent theft from the Jasper Walmart store. A surveillance photo of the suspect male can be found here. Anyone with information is asked to contact the Jasper Police Department at 812-482-2255 or the department’s anonymous tip line at 812-481-2677 (COPS). Be the first to comment on "Police Request Public’s Assistance in Identifying Walmart Thief"